Following its decision to shutter Google+ Local on August 7, Google has launched a new Zagat site and native apps for iOS and Android today to help users find the best restaurants, bars, cafes and clubs around the world. Nine cities are supported for the revamped iOS version at launch: Austin, Boston, Chicago, London, Los Angeles, New York, Philadelphia, San Francisco, and Washington DC. Google says this will be expanded to 50 destinations over the coming months and cover other places of interest such as shopping and hotels. 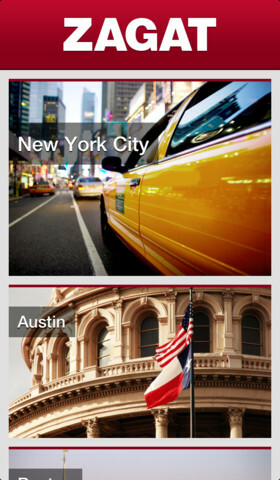 For comparison, the Zagat app for Android currently supports 32 cities including Vancouver, Tokyo and Hong Kong. On the iOS side, the home screen shows a vertical list of cards representing all of the cities covered by the app. A single tap shows a secondary list of cards with large, high-resolution photos linking to new articles, videos, cooking recipes and other blog-style content. A side-menu is available from the top right-hand corner of the screen, featuring a ‘Nearby’ selection that brings up restaurants, bars and clubs in the surrounding area. It’s a little basic in comparison to Foursquare, but there’s a couple of filtering options and the chance to tap through to a review and Zagat’s custom scoring system. From here, users can also call up the establishment, add it to their calendar, view the menu and share it to the usual social networks. In-app reservations are also handled by OpenTable, similar to Evernote Food. Articles and individual business pages can be starred at any time, sending them to the ‘Favorites’ tab in the side-menu for easy reference. 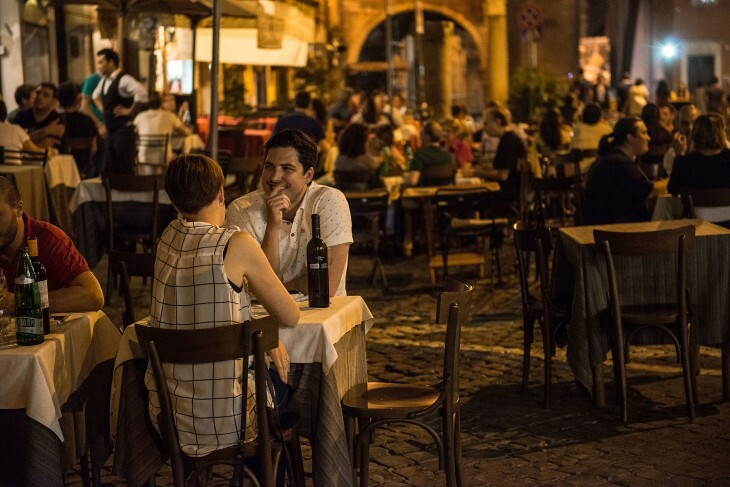 Check-ins and social features aside, there’s clearly some groundwork here to rival Foursquare and other location-based recommendation services. The Android version was also updated today, but retains some of the original Zagat design and interface. It’s optimized for 10-inch and 7-inch tablets; given Google’s recent launch of the new Nexus 7, this will likely be a flagship app for the promoted tablet apps section in the Google Play store. The changes end there though – today’s update notes only mention additional bug fixes. The Zagat site is sporting a new card-inspired look with curated content and restaurant choices for the same nine cities covered in the iOS app. The design is a great deal cleaner than before, although it’s still a long way from rivaling other Google services such as Google+. Both the iOS and Android versions of the Zagat app are available to download now from their respective digital storefronts.